How would you rate your experience with Sinclair Broadcast Group ? While Sinclair Broadcast Group can trace its roots back to 1958, when founder Julian Sinclair Smith and a group of investors operated a small FM radio station and later a UHF channel 45 for the Baltimore, Maryland, area, it wasn’t until the television station launched in 1971 that the company changed its name to Chesapeake Television Corporation. Smith’s son, David, changed the name again in 1985 to Sinclair Broadcast Group. Today, the company is a publicly traded (on the NASDAQ) telecommunication conglomerate, controlled by the Smith family. The company is the largest television operator in the US (by number of stations) with 193 channels in more than 100 markets. Sinclair also owns 4 multicast networks (Comet, Charge, Stadium, and TBD), as well as the Tennis Channel, one streaming service (STIRR) and 4 radio stations in the Pacific Northwest. The company has faced strong criticism for its conservative slant on news, as well as attempting to persuade the Trump administration to loosen the rules regarding regulations about the concentration of media ownership. In March 2017, Sinclair was in discussions with Tribune Media, hoping to acquire the company. Concerns about Sinclair potentially creating an oligarchy in the broadcast television industry, which led public interest groups to attempt to block the purchase. In August 2018, Tribune Media dropped their sales agreement and filed a lawsuit for $3.9 billion. In January 2019, the company was heavily criticized for publishing anti-vaccine propaganda. 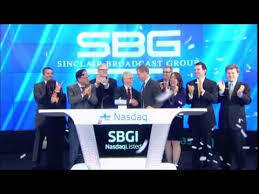 Headquarters for Sinclair Broadcast Group are located in Hunt Valley, Maryland. 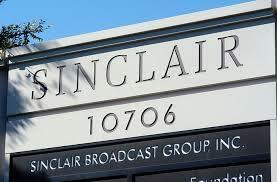 Question 1: What is the phone number for Sinclair Broadcast Group? Answer 1: The phone number for Sinclair Broadcast Group is (410) 568-1500 . Question 2: Who is the CEO of Sinclair Broadcast Group? Answer 2: The CEO of Sinclair Broadcast Group is Christopher Ripley. Question 3: Who founded Sinclair Broadcast Group? Answer 3: Sinclair Broadcast Group was founded by Julian Sinclair Smith in 1971. Want to make sure Sinclair Broadcast Group sees your comment or complaint?